samantha jayne: Dress Wish List. This year is my final year at university and the first year I will be going to our ball. I'm looking forward to the night, but what I'm really looking forward to is getting a brand new dress. To be honest, I have no idea what I'm looking for. I had a little browse online and found a few things that I really like but I'm not 100% on what style I want to go for. I think this is going to be one of those instances where I'll know when I see it! 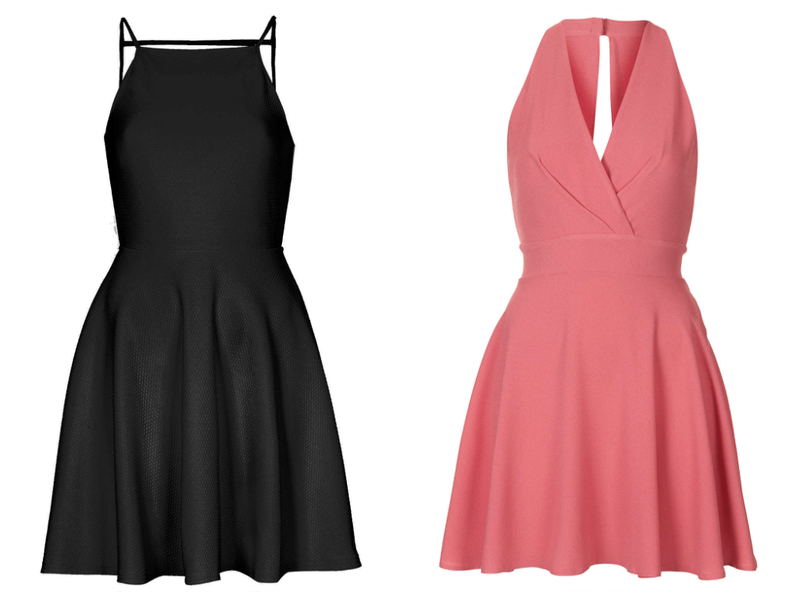 One thing I do know is that the skater style dresses suit me. I love that style and it definitely suits me figure best so I'll definitely be looking that kind of dress. All these dresses are either from Topshop or Miss Selfridge, they have some beautiful dresses on their website and so many I could imagine wearing on the day. 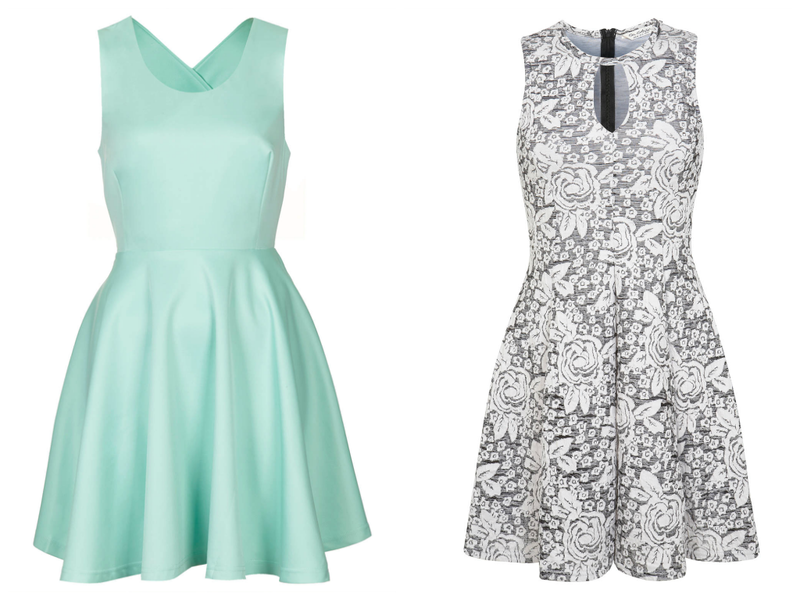 My favourite has to be the mint dress at the moment, the colour is stunning and it has a gorgeous cross over back. I'm always drawn to dresses with an interesting back and this one stands out for me! I've still got one month left to look so hopefully I'll find a lovely dress before then! 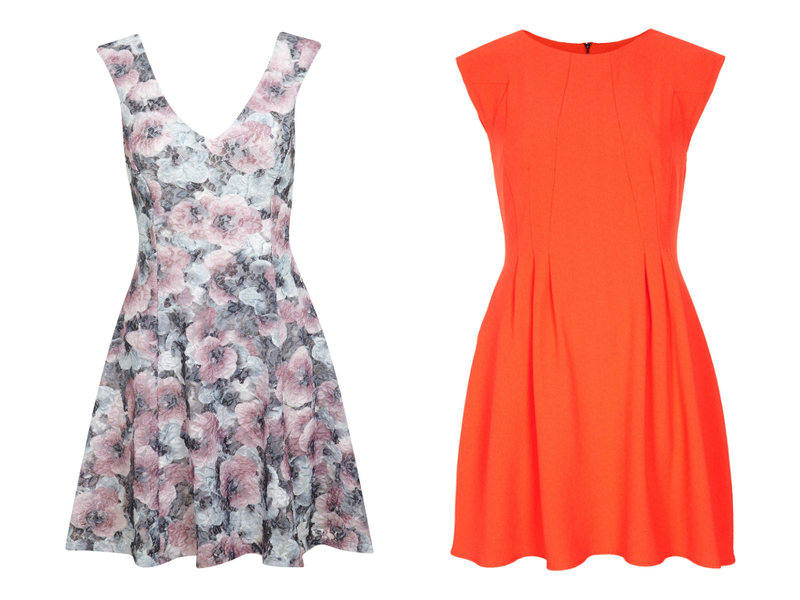 What dress would you pick?